carry and home defense aspects. Trusted by law enforcement and military personnel throughout Arizona! See This Week’s AD Now! Let us help you sell your firearm(s). You can have us showcase your gun(s) and insure that the buyer goes through a background check. In addition to our factory trained and certified armorers we now have a full time gunsmith on staff able of provide most, if not all, of your gunsmith needs. We offer complete fingerprinting services during normal business hours 7 days a week. For verified/certified prints, please contact the Tucson Police Dept. or Pima Co. Sheriff’s Dept. We offer a 60 day layaway with one third down on firearms. Get the gun of your dreams in a way you can afford. With a highly experienced and qualified instructor staff, Diamondback Shooting Sports Training Division offers a full spectrum of training courses, so we’re confident we will have a course for any skill level – from the first-time gun owner to the experienced professional. Diamondback Police Supply is Arizona’s premier dealer for Point Blank / PACA Body Armor and Combined Tactical Systems, all Products are POR. 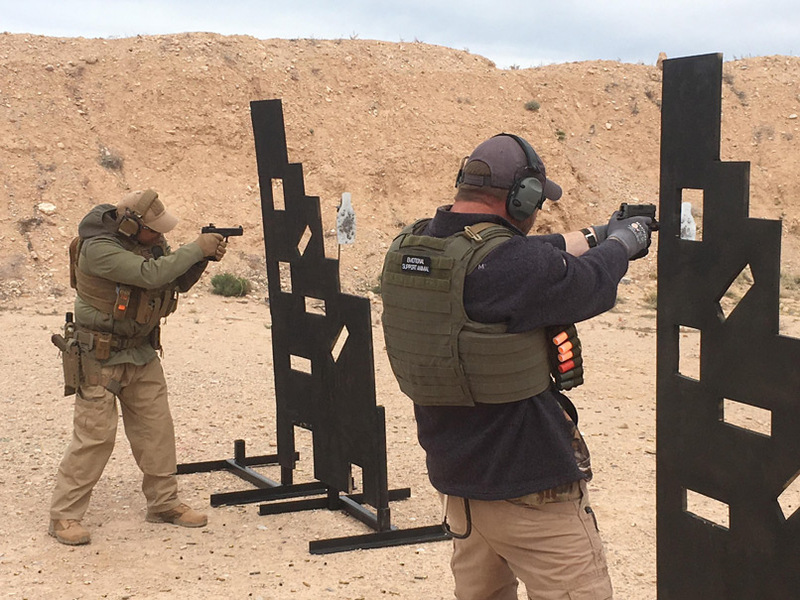 Diamondback Shooting Sports also is proud to provide quality, professional firearms and self-defense instruction to law enforcement and military personnel. The AZ Concealed Weapons Permit training class is classroom-only instruction lasting approximately six hours. This course provides a heavy emphasis on law and legal issues, as well as safe gun handling pertaining to concealed carry, and home defense aspects. $75 Includes Fingerprinting. We offer a comprehensive selection of firearms and shooting related merchandise to the general public. We specialize in personal defense products as well as law enforcement and tactical equipment for first responders. We are members of the following associations! My wife and I have purchased many firearms and accessories from Diamondback and could not be happier with service that we have received with each of our visits. All the employees, salesmen, gunsmith, cashiers, and managers are AWESOME to work with and highly professional. We highly recommend Diamond for all your shooting needs. Travis the gunsmith has worked on 3 of my firearms and did a great job on all. First time speaking with him for almost 2 hrs, he’s extremely knowledgeable about firearms and hunting. The manager and the front desk folks were great and pleasant as well. I recommend Travis to all my buddies. I enjoy this place you get educated answer and lot of quality firearms and ammunition. Recently took an Arizona CCW permit course Paul the instructor is great he teaches in a manner that keeps your interest. Went in to order a Glock 19 Gen 4 and was helped by Valerie. She was extremely professional and friendly. My Glock arrived four weeks to the day that I ordered it, which compared to some other stores in town is very quick. Their new store is quite a change to their old location and it is awesome. I highly recommend them. DISCLAIMER: “GLOCK” is a federally registered trademark of GLOCK, Inc. and is one of many trademarks owned by GLOCK, Inc. and GLOCK Ges.m.b.H. Neither Diamondback Shooting Sports nor this site are affiliated in any manner with, or otherwise endorsed by, GLOCK, Inc. or GLOCK Ges.m.b.H. The use of “GLOCK” on this page is merely to advertise the sale of GLOCK pistols, parts, or components. For additional genuine GLOCK, Inc. and GLOCK Ges.m.b.H products and parts visit www.glock.com. I recently bought a suppressor through Diamondback and they were extremely helpful throughout the whole process. I spoke with Doug mostly and he was more than happy to answer all of my questions. If you are need anything firearms related (including a suppressor) I really recommend Diamondback. I have bought other stuff from them in the past and its always a good experience. If you are new to guns or even have some questions about anything related to the topic this is your place. The staff here are more then kind they make you feel like you are at home and are always more then happy to help you out. Picked up my rifle the other day and needed some help with a few attachments and they helped me put it on right there in the store same day and for no charge. I also came in earlier today with a few questions about my rifle and same thing no charge they took care of me right away and told me how to use certain things and what is best for cleaning. Thank you so much Travis for helping me out and I look forward to shopping with you guys more in the future! !